This was written by myself and another youth forum member from Amgueddfa Cymru, the National Museum of Wales. We have been members for three years and this has given us an insight into youth engagement within this sector. We agree that two of the most fundamental and complex issues faced in this area revolve around the ideas of ‘time’ and ‘trust’. There is a deep difference between the experience of time by the museum-institution and the day-to-day experience of young people. These time discrepancies can pose as a substantial challenge when working with young people but we think that it can offer rich opportunities to create multi-layered and dynamic projects, with varying time-scales that young people can feel invested in creating sense of progression and achievement. In a similar vein, ‘trust’ is important which goes both ways. 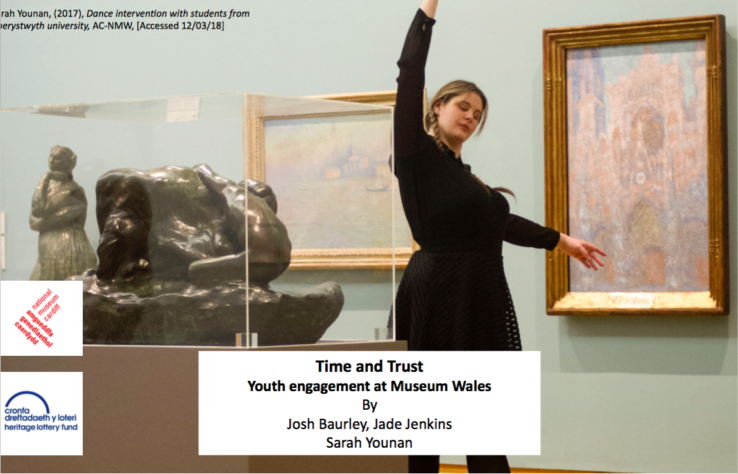 How can young people trust museums, and how can museums trust young people? How can tokenism be avoided whilst encouraging diversity in the young volunteers. We think that it is aided by giving young people some autonomy, to feel that they have some influence and are not just used for ticking the ‘youth engagement’ box. The museum can have negative connotations of authority and a school-like atmosphere which can put off young people from engaging and trusting the organisation. We think that by building up relationships between staff and young people a rapport can be established. This could create a better environment for the young people and aid the museum in getting more from their young volunteers without exploiting them.